When George Romero cast Duane Jones as the male lead in his 1968 classic film Night of the Living Dead, it was somewhat of an unprecedented move. This was because Jones was an African-American and, back in the ’60s, black men just weren’t cast in lead roles for the most part. Throughout the past 50 years, that notion has undoubtedly evolved. Times have changed and race has become less and less of an issue in films, but it is still an issue. Recently, writer/director Jordan Peele made headlines by stating that, as of now, he has no plans of casting a ‘white male’ as a lead in his films. This is because, in his words, he’s ‘seen that movie before.’ Naturally, this caused a bit of an uproar in social media comment sections. The only problem is, Peele was right. He has seen that movie before. We all have. We need more movies that tell different stories. Stories that aren’t about dumb white kids in a cabin or dumb white families in a way-too-expensive house. Jordan Peele is making those different movies. He’s telling those different stories and he’s showing that they can be done well. Other filmmakers have tried the same thing, to varying levels of success. Box office and critic reviews aside, however, each of those filmmakers were trying to give a voice to the seemingly voiceless. They were trying to tell stories that reflected their own lives. Okay so, this film is rarely a part of anybody’s “best-of” list. But the rest of the films on this list get pretty heavy, and Killjoy provides a bit of levity. It’s about a killer demon clown who seeks revenge on the gang that killed his curator. It’s bad. But it’s fun. And, somehow, it led to 3 sequels. Tales From the Hood is exactly what it sounds like. 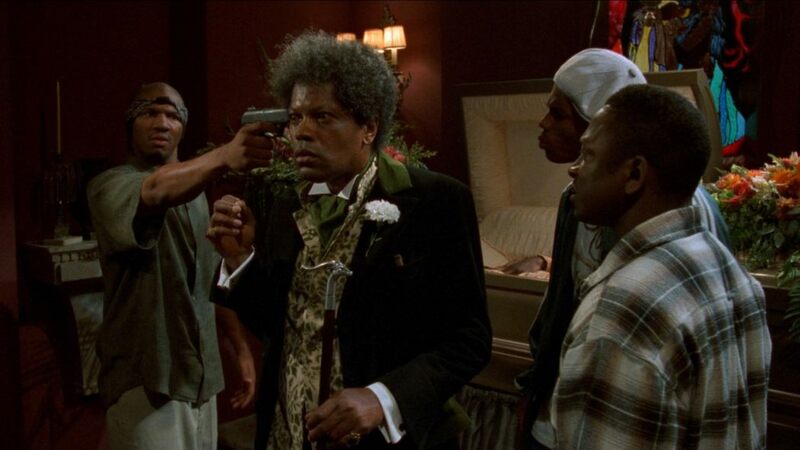 It’s a collection of horror stories told by a mysterious mortician to a group of young black men, from ‘the hood,’ that are supposedly buying drugs from him. The aforementioned tales are quite clever and scary in their own right but this movie is best remembered for the themes it was trying to convey. Tales From the Hood was a reflection of many issues that were plaguing the African-American community at the time, such as police corruption, overt racism, gang wars and more. Produced by Spike Lee, Tales From the Hood was an epic collection of scary stories that were made even scarier by the reality they were a reflection of. 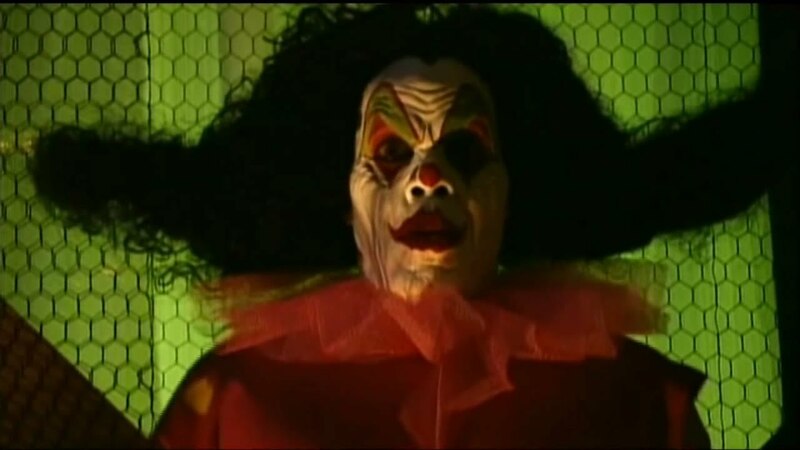 In 1991, Wes Craven delivered a film that almost acts as a precursor to Jordan Peele’s Us. In the film, a young boy and two older men who get trapped in the house they were robbing. There, they discover a horrifying secret. The house belonged to two incestuous siblings and, in their basement, they housed a group of mutilated young men as well as their own daughter. As the young boy — named Fool — attempts to escape the house, he meets the daughter and becomes intent on helping her escape as well. This movie is a satirical look at capitalism, gentrification, class warfare, and survival. The true monsters were the ones living above the stairs. 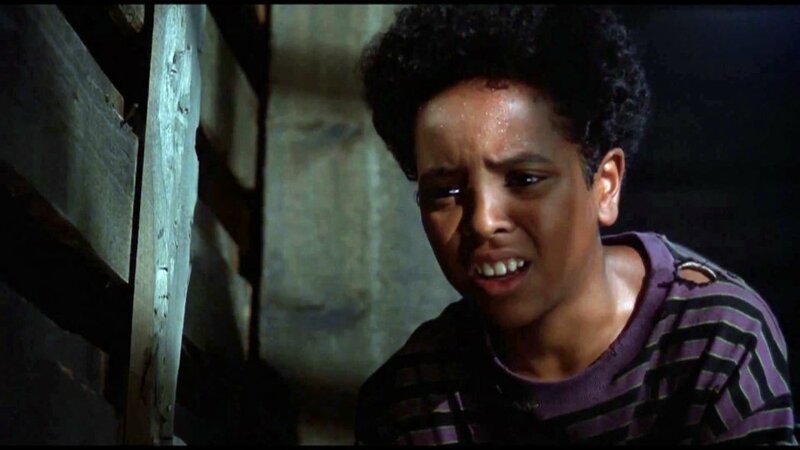 The People Under the Stairs was a terrifying portrayal of an actual story that Craven read about. According to the story, two African-American burglars broke into a house, only to find two children who had been locked in the basement by their parents. There’s a legend around here. It’s about a supernatural being, referred only as Candyman. This isn’t Willy Wonka though; this Candyman is out for blood. (Though, to be fair, we’re pretty sure Willy Wonka was too). Candyman was a 1992 supernatural film from director Bernard Rose, adapted from a short story by Clive Barker. The film tells the story of an urban legend about the son of a slave who went on to become a tremendous artist. His art couldn’t save him from the time period he lived in, however. He was killed by an angry mob, simply because he fell in love with a white woman. Virginia Madsen starred as a college student attempting to uncover the legend of Chicago’s Candyman, but she soon finds out it’s not just a story, and he’s not just an urban legend. 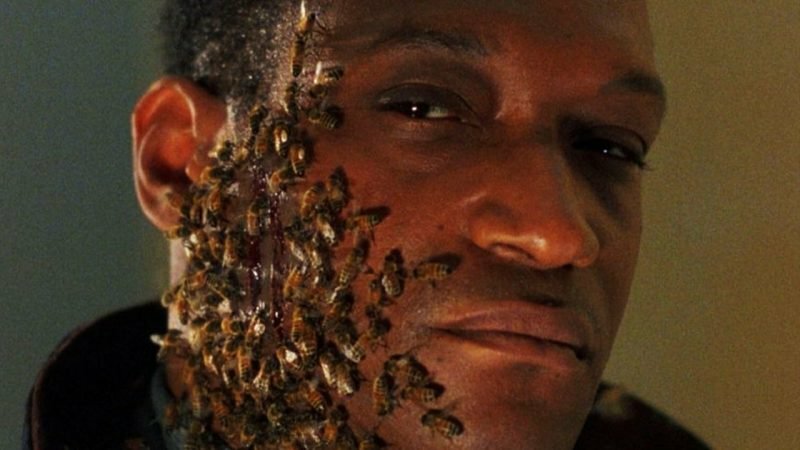 Tony Todd portrayed the Candyman and what made him so terrifying was that audiences empathized with him. While they weren’t fans of the whole “murder” thing, they could understand why Candyman wanted revenge. The film is regarded as a classic that, once again, shows that real horror is not a poetry-spouting, hook-wielding madman. Real horror is the event that led to his creation. It was never going to not be this film. 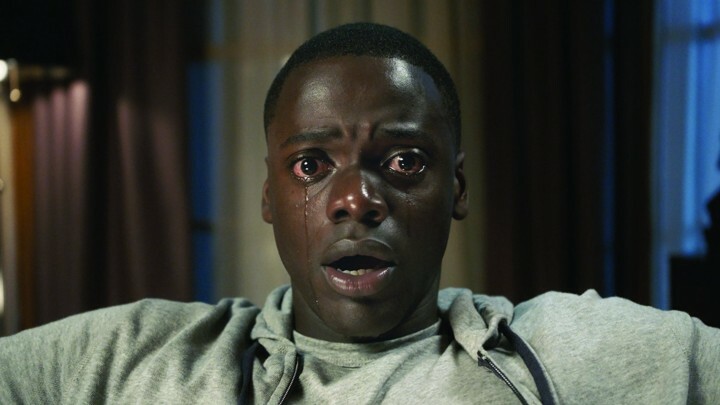 Get Out was a horrifying glimpse into the ideas of race through the eyes of both blacks and whites. While the white people in this film turned out to be crazy, we were more interested in the conversations that took place before the proverbial poop hit the fan. 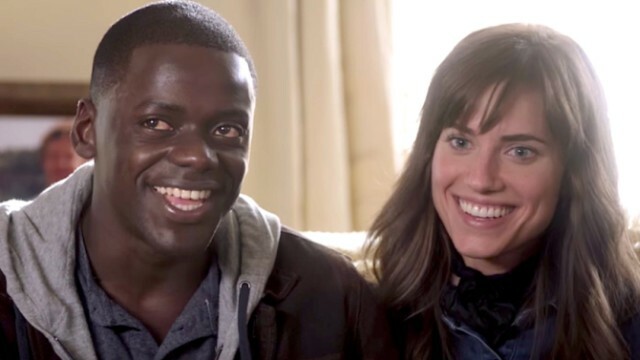 When Rose (played by Allison Williams) brings her African-American boyfriend Chris (played by Daniel Kaluuya) to meet her family, everybody tries their best to ensure Chris how racist they’re totally, absolutely not. And that, even more than the shocking twist that takes place in the film, is where the real issues lie. Racism isn’t just about segregation. It’s not just about name-calling or pointing fingers or “living in the past.” Racism, at its core, isn’t about thinking one race is better. Racism is about thinking one race is different, period. It’s the idea that skin color has anything to do with character, with integrity or with worth.